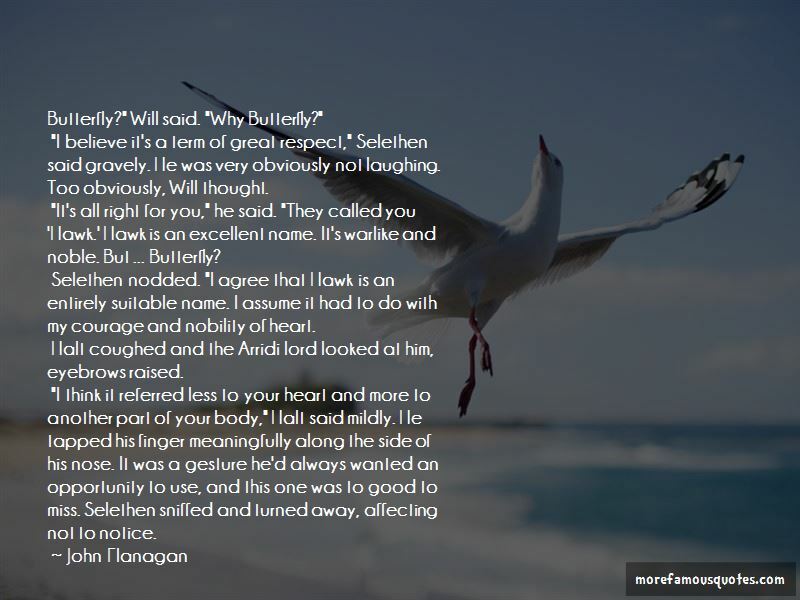 Enjoy reading and share 6 famous quotes about Noble Gesture with everyone. “I can't take this kind of suspense. Decide now." He untied the ropes around her wrists. "Walk out the door. In a year you'll be free of any entanglements with me. Or stay and be my wife. My real wife. Make your choice." She looked down at the loosened ropes still wrapped around her, then up at him. He wore an expression of fierce indifference, but she knew better. This proud man, this noble marquees, had made up his mind he wished to marry her without knowing who she was or what she'd done. She would guess the decision was his first impetuous gesture since the day his mother had disappeared. “A toast to the engagement on your former fiance and your former best friend. Tell me, how hard did you have to grit your teeth?" 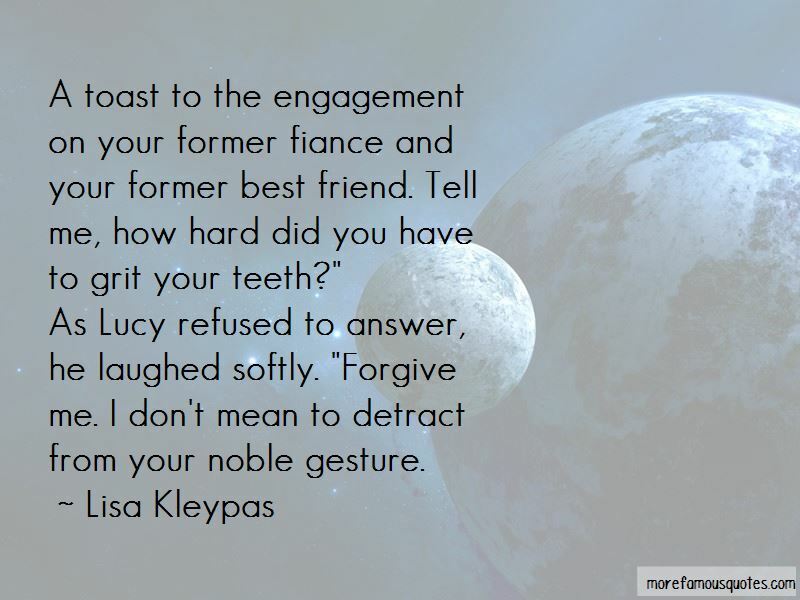 Want to see more pictures of Noble Gesture quotes? 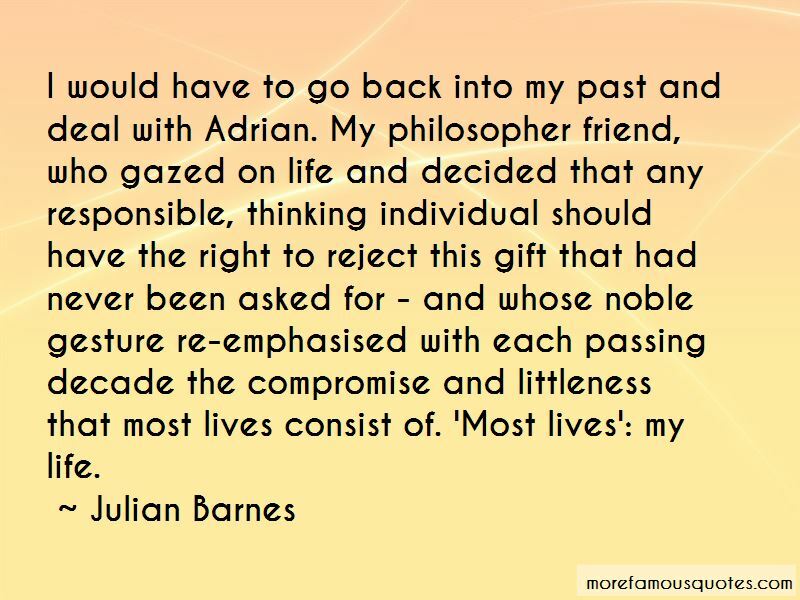 Click on image of Noble Gesture quotes to view full size.